Top five time. This is the half of the list that was definitely easier to pick. It’s because from here the games are all ones I will unabashedly recommend everyone to go out and try to play. And after reading this next entry I get the feeling some people might just dismiss me as crazy. But I’ve got to wear it on my sleeve now, so maybe I am just a nutcase. I love Destiny, that’s an opinion I’ve had to work on though because for a while I hated the game, but it eventually won me over. 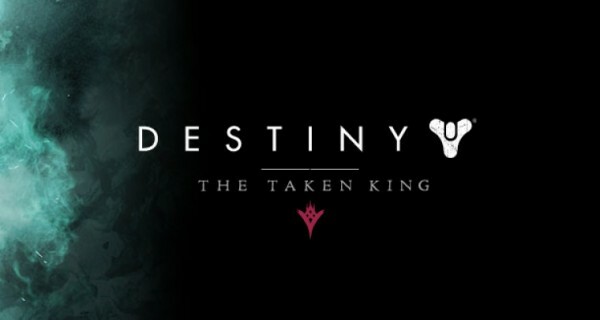 So let’s call it a complicated relationship, but with the release of the Taken King, I can finally say that Destiny feels like a finished product. Something closer to the original expectations laid down by Bungie before the game’s release and their infamous 10 year promise. When I spoke about Destiny on last year’s game of the year piece, it was before any of the expansions had been released. Playing it today, it’s hard to believe it’s the same game, it has totally reinvented itself and that’s why I feel it’s appropriate to put a game that was technically released in 2014 as number of on my list of 2015. All of the things Destiny had going for last year are still there in spades. The gameplay is some of the best I’ve played in a console shooter, it feels and plays great. On top of that, both the graphics and the music make it one of the best games you can be playing from moment to moment. Where the old version of the game fell down was for its lack of content and its absence of a coherent story, thankfully House of Wolves and the Taken King added a cast of memorable characters and narrative arcs to more than make up for the pieced together experience of the vanilla game. With the expansions, the story became much more focused having a definite arc throughout. You go into a mission aware of the stakes and some charming dialogue from Nathan Fillion. Before, everything was imbued with some grand importance, and yet I’d finish a mission and be totally unable to tell you what was achieved. Since the game’s release, stories have come out of Bungie explaining why the story got butchered by Activision. Cheeky characters and campy mysticism were the original plan, but thanks to a few nervous executives the story got torn apart and pieced back together at the last minute. Thanks to the Destiny’s incredibly unlikely success, the new expansions have allowed us to see some of what Bungie had originally envisioned. The other big problem with the original game was how you levelled up. It was a loot based system, but unfortunately, there was no way to control what loot you were getting aside from blind luck. 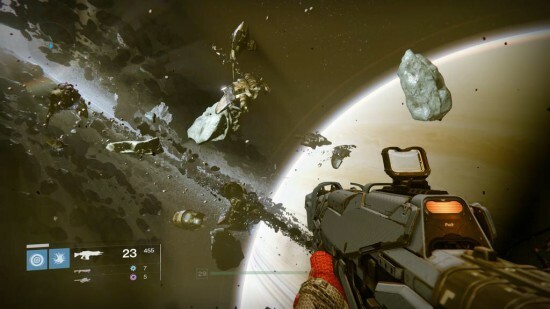 Bungie realised this was a big problem and endeavoured to change it through the three expansions, culminating in the new light and infusion system that is present in the Taken King. Players attain gear based on their current light, and once their get a piece they like they can use the infusion system to continue using that piece. It allowed players a greater customisation of their guardians. Adding a more standard levelling loop that made getting enough light an inevitable end to the road rather than something that seemed more like winning the lottery. 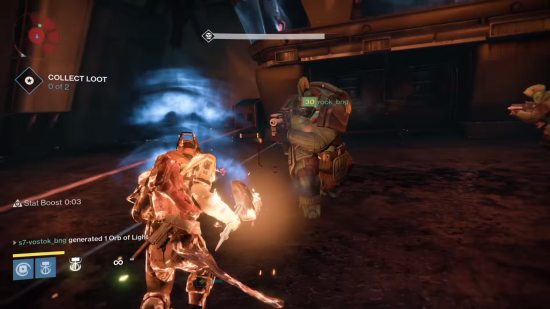 Bungie also took lessons from their own problem weapons. Thorn and Gjallerhorn, for example, became pretty much useless. But thanks to feedback from players, a number of new exotics became the rewards from quests rather than random drops like Thorn before them. Considering the game as it stood when the The Taken King was released, it may have been higher on the list. Some of the sheen has come off since then, as Bungie have announced that they won’t be adding any more of the big content packs, and will instead be focusing on smaller event based content to tide people over. But I’ve spoken about my thoughts on that before. I’ve put an awful lot of time into Destiny this year, far too much for me to not give it a good old mention here. I’d still recommend it top anyone who hasn’t played it and wants a good multiplayer shooter to sink their teeth into. I’ll even play with you, because I have characters on both Xbox One and PS4. Yeah, I’m in deep. Posted on December 26, 2015 December 24, 2017 by WooderonPosted in 2015, Best of Year:Tagged activision, bungie, crucible, destiny, halo, house of wolves, iron banner, sunbreakers, taken king.